I am a Life Coach by vocation. What does that mean? That I coach naturally. When at work it's so natural and easy for me to train others, to explain to them new procedures, and to encourage my coworkers when they feel they've made a mistake. 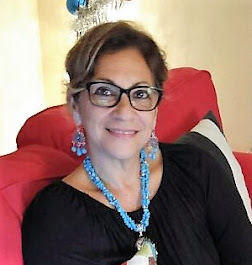 At my spiritual community: as a volunteer woman's counselor, I've used my natural God-given gifts to connect at the soul level to understand their experience as best I can. When it's time to speak, I allow the words to come from a place of love and objectivity. Friends. My friends come to me for non-judgmental support. I hear them, I really listen, and do my best to understand their feelings and issues. When I speak, I always try to do it from that same place of unconditional love that I mention above, trying to see things from a higher perspective. So, even though right at this moment I am not immersed in a coaching practice, I know wherever I go, wherever God sends me, I will bring all that I've learned to be light and to support, motivate and empower those I come into contact with.